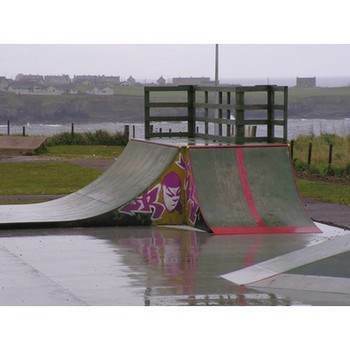 Skaters and skateboarders want challenges and they need a place to practice. 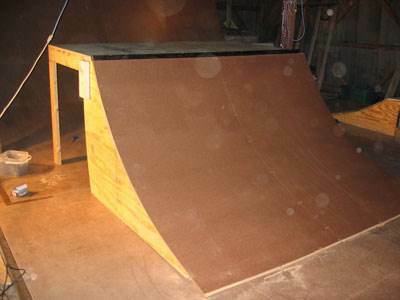 Give your budding daredevils the opportunity to build their skill and confidence with free ramp plans you can build in your workshop or garage. 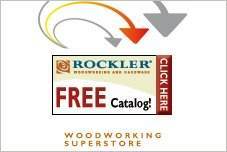 Both indoor and outdoor ramps are available in these free ramp plans. 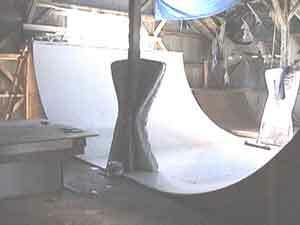 Halfpipe, quarterpipe and mini ramp plans are easy to build and take basic tools and materials. Inline skaters and BMX enthusiast will appreciate these as well as they practice their twists and leaps on these easy-to-build structures. Kicker ramps and pyramid ramps plans are also available in various sizes. These plans use basic lumber and some projects specify skatelite material for the skating surface. 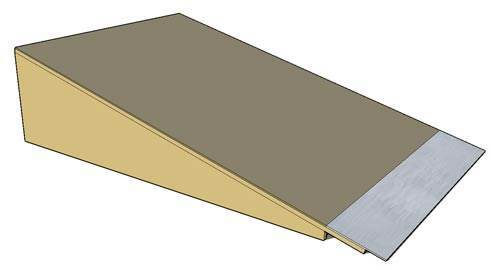 These plans have been carefully designed, but finished ramps should be carefully tested to assure it is durable to withstand intense use. 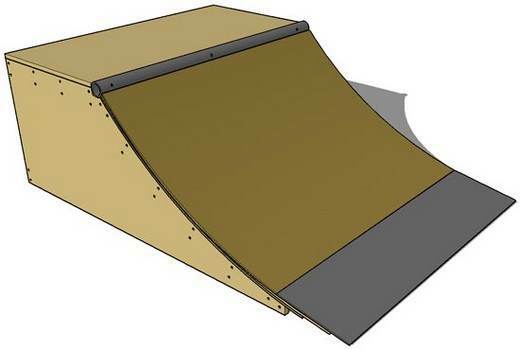 Here are free ramp plans for building this wooden quarter pipe ramp in your garage or shop. 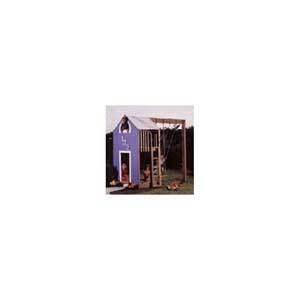 Get started on your own funbox with or without railing using this funbox ramp plan. This pyramid ramp plan comes with five steps and will give hours of skateboarding fun. 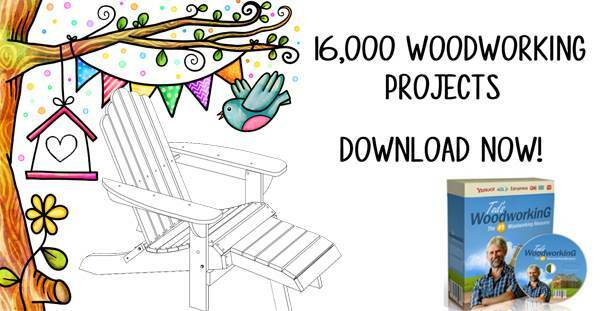 This project is easy to build and doesn't cost much for the materials. 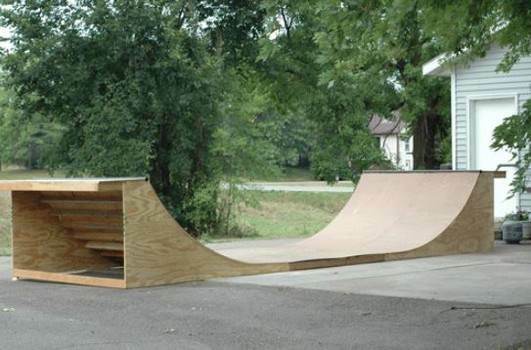 It's great for your first skate ramp. 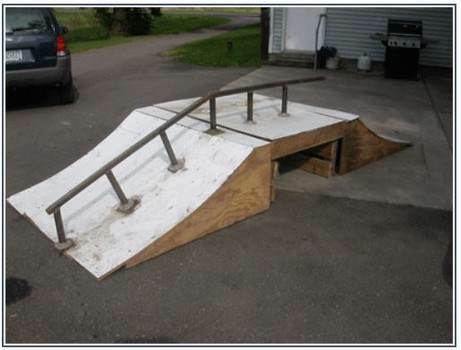 Here are easy to modify plans for building your own halfpipe that measures 16 ft wide and 8 ft tall. Here are plans for a quarter pipe that measures 2 feet tall and 4 feet wide. This is a skateboard ramp plan for a indoor half pipe that is smaller than the average half pipe but is still a fun challenge.